AIADA’s interactive grassroots program connects members with the federal policy and legislative developments impacting their dealerships. Initiatives like the Legislative Action Network and Dealer Visit Program enable members to build and grow working relationships with their Members of Congress. The best way for grassroots advocates to stay involved is to locate their lawmakers and follow legislation as it winds its way through the House and Senate chambers. 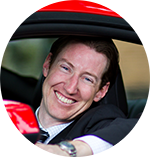 These are the top resources for activists to use to keep apprised of what is happening in Washington, D.C.
Matt Stuckey has been involved in AIADA since 2006 when his dealership acquired a Subaru franchise. As a dealer, he is carrying on the family business, originally started as a Ford dealership in 1959. The Stuckey dealerships are involved extensively in their local community and were inducted into the Blair County Chamber Business Hall of Fame in 2013. Together, they have been the recipient of several awards, including the Subaru Stellar Performer Award.